This smart speaker is expensive, but it delivers a sonic performance you won't get from any Echo. 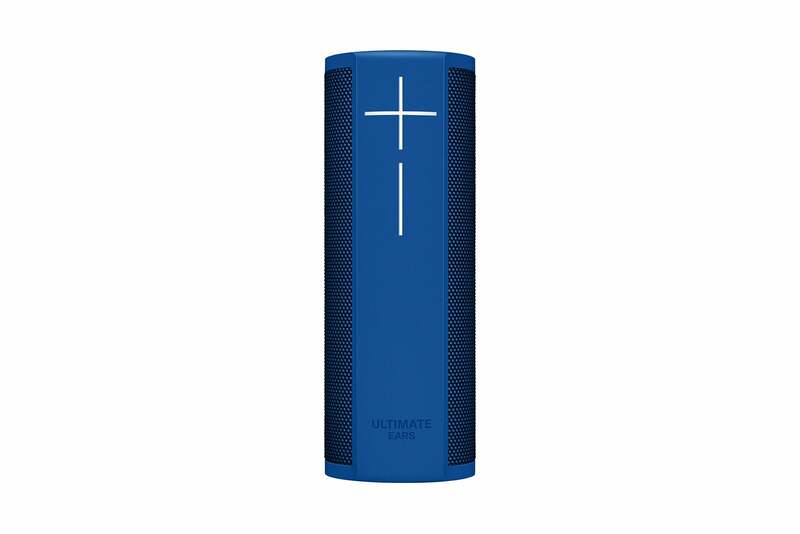 Ultimate Ears’ Megablast Bluetooth smart speaker has a lot going for it: It can really pump out the volume, without introducing distortion; it can operate on battery power for 16 hours; it bears an IP67 weatherization rating, meaning it can survive submersion in up to three feet of water for 30 minutes; and it taps into Amazon Voice Service, so you can ask Alexa to do your bidding. On the downside, it costs a whopping $300 and its promise of 360-degree sound is just hype. The Megablast uses the popular cylinder design, but it’s meant to stand on end, not on a flattened side (which it doesn’t possess). Laying cylindrical speakers on their side usually results in better stereo separation—something you don’t get a great deal of with the Megablast. 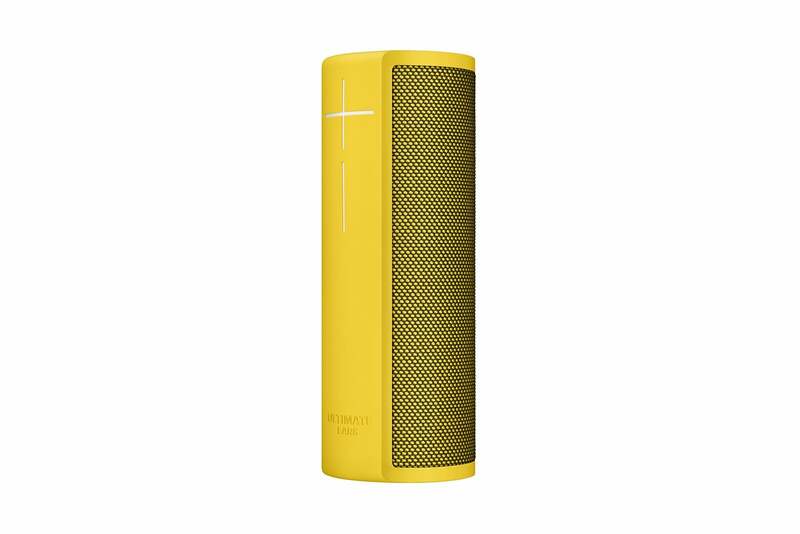 Then again, single-cabinet Bluetooth speakers that deliver good stereo separation pop up only once in a blue moon. The Megablast’s power and Bluetooth-pairing switches are at the top of the speaker. There's a micro-USB port for charging the unit (an AC adapter is provided) beneath a water-tight plug on the bottom of the unit, along with a clever tripod mount. Thread the charging contact that comes with the PowerUp accessory (sold separately for $40) and you can charge the speaker's battery without needing the USB cable. There’s no auxiliary input or standard Type-A USB port for charging other mobile devices. Bummer. Another bummer is that the Megablast can’t be used as a speakerphone during calls. The absence of those two convenient features is surprising considering how many Bluetooth speakers I’ve seen that have them. Ultimate Ears’ firmware updates come with a sense of humor. The Android/iOS setup and configuration app is efficient and easy to use. 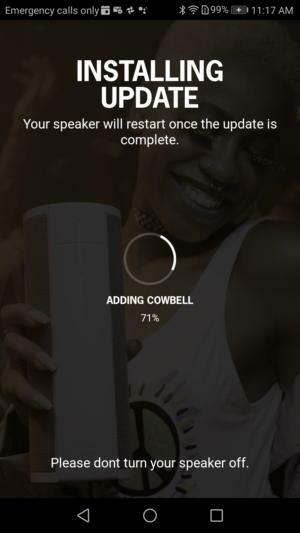 A Wi-Fi connection is required to use the MegaBlast’s integrated Alexa support, and of course, an app is required to set up the Megablast for all this. It’s logical and you’re walked through the setup process, including logging on to Amazon, with minimal fuss. The Megablast can get loud, with little to no distortion when it really starts pumping out the volume. There’s good bass response, and the higher midrange frequencies are well represented. That said, it’s just a tad lacking in upper mid-range clarity and basic mid-range punch. Ultimate Ears says the Megablast’s sound is immersive, but dispersive would be a more accurate description. It throws sound around the room, just not 360 degrees (note where the speaker grill begins and ends in the photos). Perhaps someone was confused about the unit’s microphone, which claims to be responsive to commands spoken from anywhere around the unit. The Megablast is a stereo speaker, but I didn’t hear a lot of separation between the left and right channels—to the point where I put in an inquiry as to whether it was stereo or not. The Megablast doesn’t provide 360 immersive sound as claimed, but it does respond to voice commands from anywhere in the room. I placed the Megablast in a number of locations, including a corner of the room that helped with the high-end dispersion, and on surfaces that were acoustically coupled to my wood floors. The Megablast was at its best—which, caveats aside, is quite good—when I listened from 10 or so feet away. It came alive in those circumstances. Alexa performed on par with, well Alexa. You need to say the wake word, “Alexa,” and then wait a large fraction of a second before speaking your command. 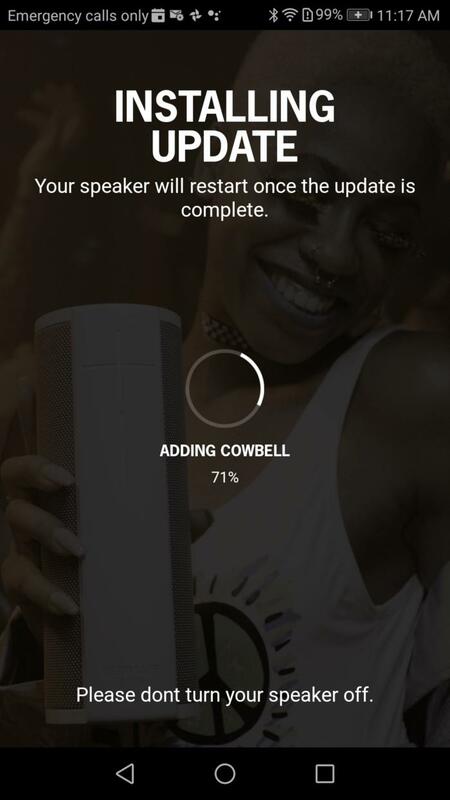 And it would help if the level of Alexa’s voice could be controlled independently of the music. On a couple of occasions, with the music turned down, I could not hear Alexa’s responses. In other aspects, the Megablast is all that Ultimate Ears claims. Run time was all day and then some in my hands-on (not including my sleep time). And it survived the shower and a short dunk in about 6 inches of water in the sink. The latter requires that you leave the circular plug in place at the bottom of the unit. All bets are off if you expose the micro-USB port. Is the Megablast a good buy? The MegaBlast sounds better than many Bluetooth speakers, but I wouldn’t call it best of breed—at least when listened to on axis from short distances. It pumps bass, and is clear overall, but it might not cut through the background noise at a loud party because of its mid-range deficits. Then again, some might think it’s the best—sound is extremely subjective. I know I warmed up to it considerably once I started listening to it from across the room. It’s pricey, but the Megablast will appeal to some with its Alexa integration. Indeed, with the Alexa integration, the attractive colors and charging base, plus its long run time and soakability, I can see how many users might favor the Megablast. 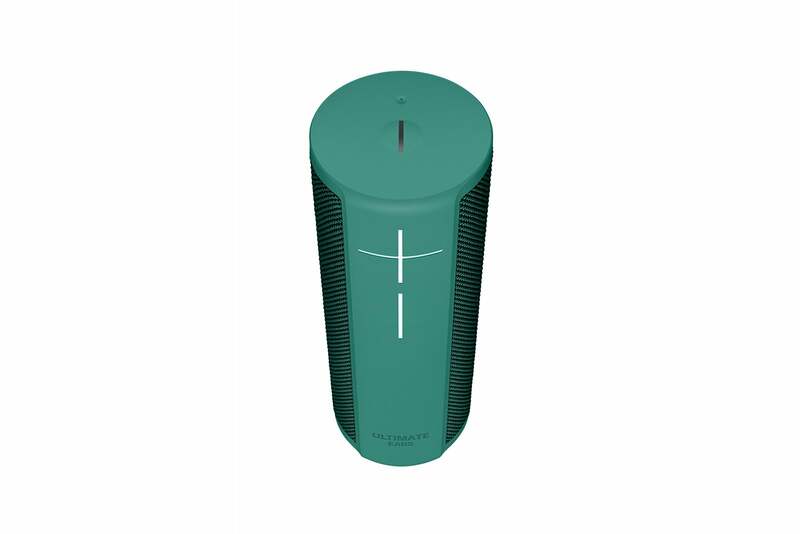 Take a listen and decide if its worth $300 ($340 with the charging base) to you. For me, that price is a tough one, especially as it can’t be used to charge other devices or handle phone calls.